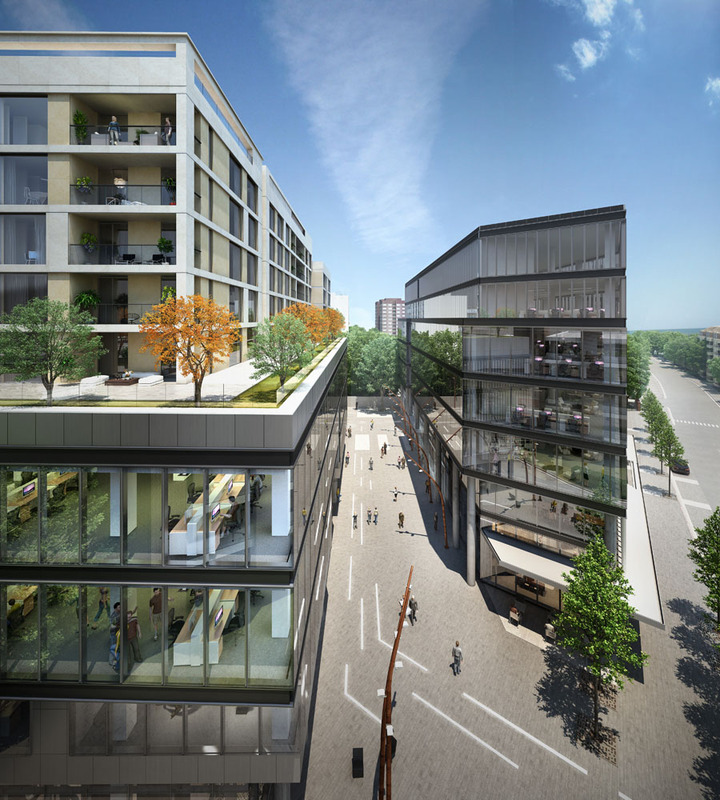 HKR has submitted a planning application for a £640m development of Number One Ballsbridge, a prominent 0.9 hectare site in Dublin’s City Centre. The proposed 40,000 sqm mixed-use development will include 109 apartments and extensive office space and and leisure facilities. The scheme will be centred around two new plazas and shared pedestrian streets. Mixed-use buildings will line the new Shelbourne Plaza, and a new public space, Pembroke Square will be positioned centrally in the city block. A proposed 15-storey residential tower will overlook the new square, the base of which will serve as the principal entrance into the resident’s concierge and internal orangery gardens.